Lakewood Anglican Church blossomed from a fellowship of people and a calling from God. 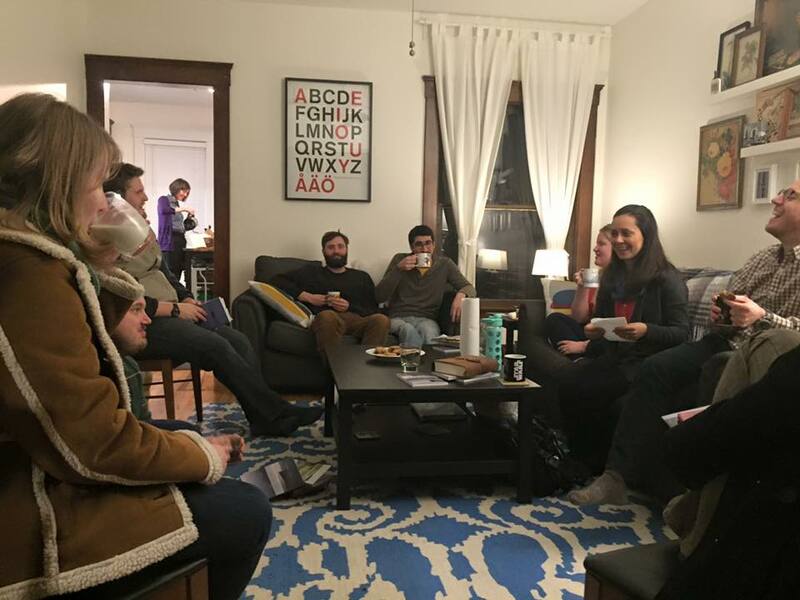 In 2009, future members began meeting in a Lakewood home, and began to discuss the idea of an Anglican church in the area. After several years of prayer, preparation, and formation, Lakewood Anglican was dedicated as a mission of the Anglican Church in North America (ACNA) in October of 2014. Lakewood Anglican is a gospel-centered church. We read, listen, and learn from God's Word each Sunday through expository preaching. We rely on the Gospel (good news) to shape our ministry, our mission, and our lives. Second, Lakewood Anglican is devoted to the context of our community. We do not compromise our beliefs; rather we continually seek ways to better understand the needs and values of our community - physically, emotionally, and spiritually. Many of our ministries and social events have organically grown from our commitment to and love for the city of Lakewood, Ohio. Our ministries follow the needs of our city and the passions God has placed in our congregation. We have a variety of small groups that meet to read, pray, and study. We desire to grow in our faith. We also work in Lakewood to help the homeless, families in need, and refugees. Fr. Sean is our Vicar (pastor of a small church). He attended Ashland University where he graduated with honors in Philosophy, History, and Political Science. He continued his education at Trinity Episcopal School for Ministry and graduated from Ashland Theological Seminary in 2008. He served served six churches as part of the initial goal to start new churches in Indiana and Ohio and served as Assistant Rector at St. Barnabas/Christ Church before becoming the founding Vicar of Lakewood Anglican. Fr. Sean and his wife Leah live just south of Lakewood in Cleveland.